Here's a quick look at some of the best deals that are currently available during Amazon's Great Indian Sale. 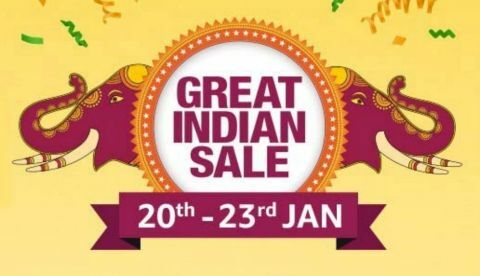 The Amazon Great Indian Sale is still going on and the e-commerce website is offering deals on a wide range of gadgets that includes smartphones, laptops, audio accessories and more. Amazon has also collaborated with HDFC bank and is offering an extra 10% discount on making payments via an HDFC bank card. Besides that, there is also a no-cost EMI option available for buyers along with an option to get the best value for their old device in exchange. The Samsung Galaxy S9 is powered by an Exynos 9810 octa-core processor. The phone features a 12MP rear camera that comes with features like super slow-mo, optical stabilization and more. During the sale, it is available for Rs 48,990 down from its launch price of Rs 62,500. Check out the deal here. The Honor 8X is available on Amazon at a discounted price of Rs 14,999. The smartphone is powered by a Kirin 710 octa-core processor and has a dual camera set up at the back. Check out the deal here. The Xiaomi Redmi Note 5 Pro is also up for sale and is priced at Rs 10,999 during the sale. The phone was launched in India at a price tag of Rs 15,999. Check out the deal here. The Xiaomi Mi A2 was one of the best mid-range segment smartphone launched last year. The phone runs on Qualcomm Snapdragon 660 processor and sports a 20MP camera at the front for clicking selfies. During this sale, you can grab this device for Rs 13,990. Check out the deal here. RealMe has launched its first selfie-centric smartphone in India last year “U1” that was also the first device that time to come with a MediaTek Helio P70 chipset. The phone is now can be bought at Rs 10,999 down from its MRP of Rs 12,999. Check out the deal here.